Biological functions and processes in organisms including human are carried out by many biomolecules. Those biomolecules are proteins, DNA, RNA, polysugars, lipids and many small molecules like vitamins and other metabolites etc. It is more often that we know about the chemical compositions of those players than we know about their three-dimensional (3D) architectures. However, it is those 3D architectures and their changes over time really matter to our understanding of how biological functions and processes really work at the atomic level in living organisms. Since the first static 3D structure of protein myoglobin was determined by England scientists John Kendrew and Max Perutz in 1958, both of whom received Nobel prize in chemistry later in 1962, X-ray crystallography has been the main working horse to obtain static 3D structures of biomacromolelcules for the past almost seventy years! Nevertheless, biological molecules are not static. Instead, they are very dynamic and change their shapes in order to carry out functions during biological processes. Thus, in order to fully understand a biological process, one needs to visualize it in real time and to obtain a complete set of snapshots from beginning to the end. When these snapshots are played out in a sequential manner on the same time scale that they are taken, one, in essence, obtains molecular events occurring in a sequential manner depicting a full process of the biological molecule in action in real time. Observing such sequential events in real time in 3D space has not been possible until very recently. 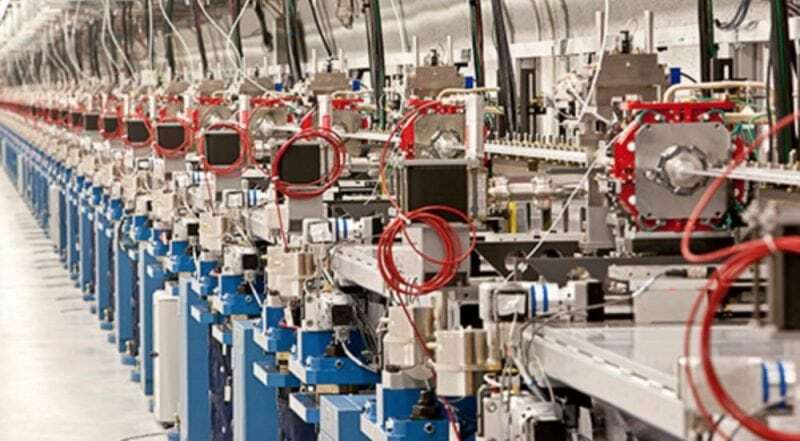 In 2009, the world first X-ray free electron laser (XFEL) went to operational in Linac Coherent Ligh Source (LCLS) in Mello Park, California. 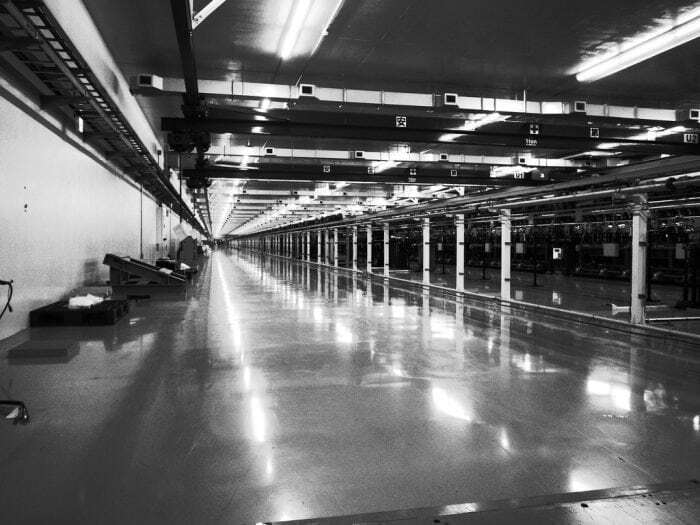 An XFEL beam has two unique features: it is ultra-brilliant, roughly about a billion of a billion (1012x1012=1024) of times brighter than Sun; its pulses are very quick and they are on a femtosecond scale (a femtosecond is 1×10-15 of a second). It takes about 100 femtoseconds for a light to travel the width of a human hair! Under such a short time scale and with such a brilliant beam, everything is static and one can in theory “take pictures” of a single molecule in action! However, in practice, we are not there yet because of many technical limitations such as detector technologies and data processing software etc. have yet to be developed. 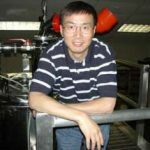 Recently, as an important step toward that eventuality, scientists recently were able to use the brilliant XFEL beam in LCLS and micron to nanocrystals (10-6 to 10-9 meter) to take a snapshot of a 3D structure of an intermediate state of an RNA, a short-lived transient species of an important class of biomacromolecules. This RNA molecule, adenine riboswitch, is known to act as a molecular “switch” to turn a gene expression “ON” or “OFF”, depending on the presence and the concentration of a small metabolite molecule called adenine. Riboswitches are present in all three kingdoms of life and have potential applications from biotechnology to therapeutic treatment diseases including cancers. It senses the presence of adenine by interacting and bind to the adenine, resulting in a change in its 3D structure to a different form. Such a structural change passes to the downstream where the production of a gene product (gene expression) is turned ON or OFF. For a long time, scientists do not really know the structural basis at the atomic level for this to happen, due to lack of suitable tools and technology, even though the process at genetical and biochemical level appeared to be relatively well understood. Using the XFEL beam, the scientists were able to capture the moment that an adenine ligand enters the binding pocket in the riboswitch and the movements of certain key residues around the immediate surrounding of the pocket. The structure of this transient species revealed the structural basis of how the signal of ligand binding is transmitted to the downstream in a gene expression. In the technical sense, one of the reasons why the “short-lived” species could be captured by a snapshot in real time is due to the short brilliant XFEL beam. Equally important is the use of micron/nanocrystals where the time for a ligand to diffuse into RNA molecules in crystals is negligible comparing to the time that anything happens to crystals themselves before an XFEL beam hits the crystals. This technique is called inject-and-mix, where both a ligand solution and stream of crystal slurry are injected into a mixing chamber followed by traveling to a delivery nozzle where the liquid stream mixture intercepts the XFEL beam. Such a technique may have a wide range of applications in studying molecular interactions of various types because biological functions are carried out by biological molecules that interact with one another and processes are dynamic. As for visualization of a single molecule in action, we are not far from it once the technologies in beam intensity, detector sensitivity and software are further improved in the near future. The study, Real-time crystallographic studies of the adenine riboswitch using an X-ray free-electron laser was recently published in The FEBS Journal. Structures of riboswitch RNA reaction states by mix-and-inject XFEL serial crystallography was recently published in Nature. Stagno JR, Liu Y, Bhandari YR, Conrad CE, Panja S, Swain M, Fan L, Nelson G, Li C, Wendel DR, White TA, Coe JD, Wiedorn MO, Knoska J, Oberthuer D, Tuckey RA, Yu P, Dyba M, Tarasov SG, Weierstall U, Grant TD, Schwieters CD, Zhang J, Ferré-D’Amaré AR, Fromme P, Draper DE, Liang M, Hunter MS, Boutet S, Tan K, Zuo X, Ji X, Barty A, Zatsepin NA, Chapman HN, Spence JC, Woodson SA, Wang YX. Nature. 2017 Jan 12;541(7636):242-246. doi: 10.1038/nature20599. Epub 2016 Nov 14.